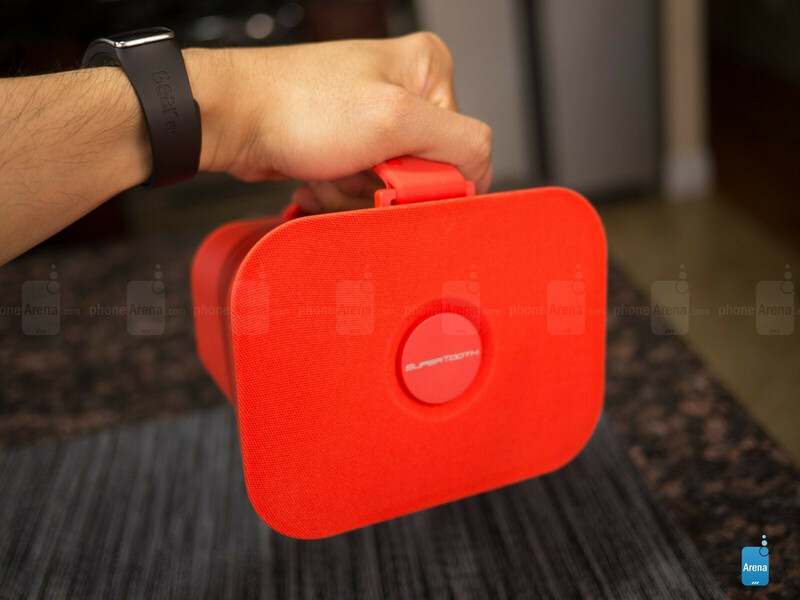 One of our longstanding favorite portable Bluetooth speakers has been the line from SuperTooth, its Disco series of speakers, seeing they combined fantastic audio quality with an affordable cost. Taking it to the next level with its latest offering, the fourth generation model in the line, the SuperTooth D4, mixes it up with an even more stylish design – while jumping on the bandwagon by offering NFC for easier connectivity. Will it live up to the beloved line? Let’s jump in and get started! The SuperTooth D4 continues the trend of having a stylish design, but in a more pleasant compact and lightweight package. Through the years, we’ve seen SuperTooth’s speaker evolved from the generic looking thing we witnessed with the original Disco, to the more stylish appeal brought on by the Disco 2. Again, that evolutionary change is apparent with this fourth-generation speaker, which favors a more compact size – resulting in a package that’s easier for travel. Of course, it has some similarities to the vase-shaped design of the Disco 2, but the SuperTooth D4 stands sideways – as opposed to upright like the Disco 2. 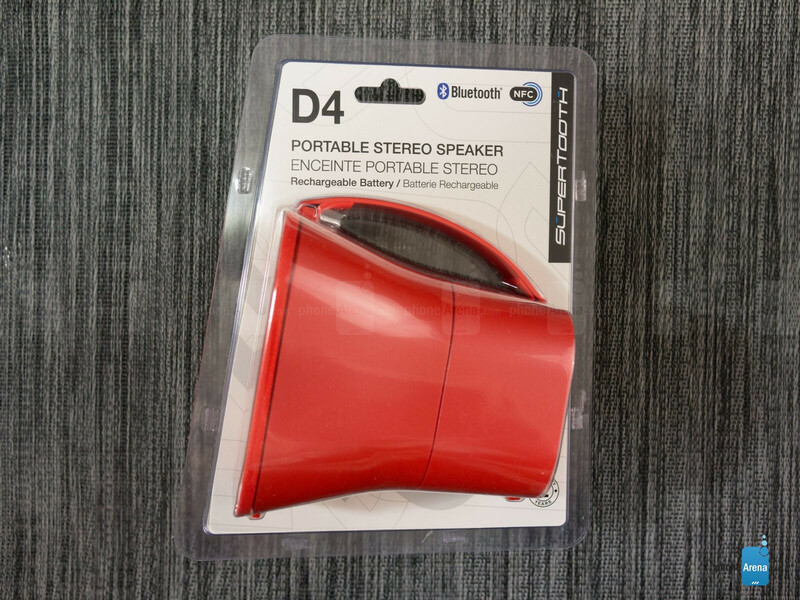 Staring at the D4, it reminds us of the wider end of a megaphone, since its shape practically follows it. Constructed out of this tough matte plastic material, the D4 really shines thanks in part to the various paint jobs it’s offered in – meteor, stone, sand, juicy, and spectrum. Our particular unit is that “juicy” red version, which makes it extremely eye-catching. True to making it more travel friendly, there’s even a rubbery plastic handle at the top of the speaker. On the main façade of the D4, a fabric mesh grill covers the surface – hiding the speaker inside, which features a Bass Reflux system. 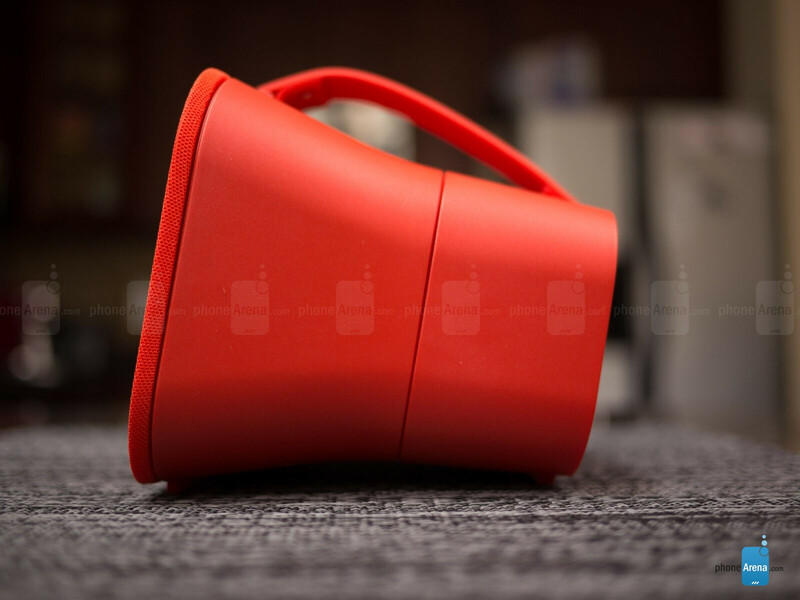 Around the back, its power button, LED light, microUSB port, and 3.5mm auxiliary jack all sit within the recessed area. Finally, a rubber stopper is situated on the underside of the D4 to prevent it from skipping or moving while playing a song. Our only complaint with this speaker, in contrast to its predecessors, is that it lacks built-in media controls for pause/play/forward/reverse. So where’s the NFC chip in this speaker? 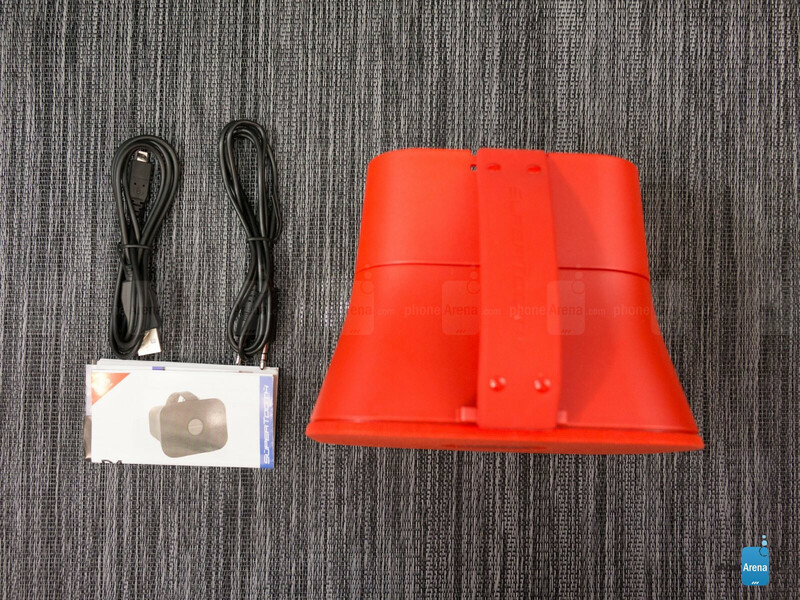 Initially, we were confused because there’s no sticker or logo to indicate its placement on the speaker. In fact, it’s situated towards the back end of the rubber strap. 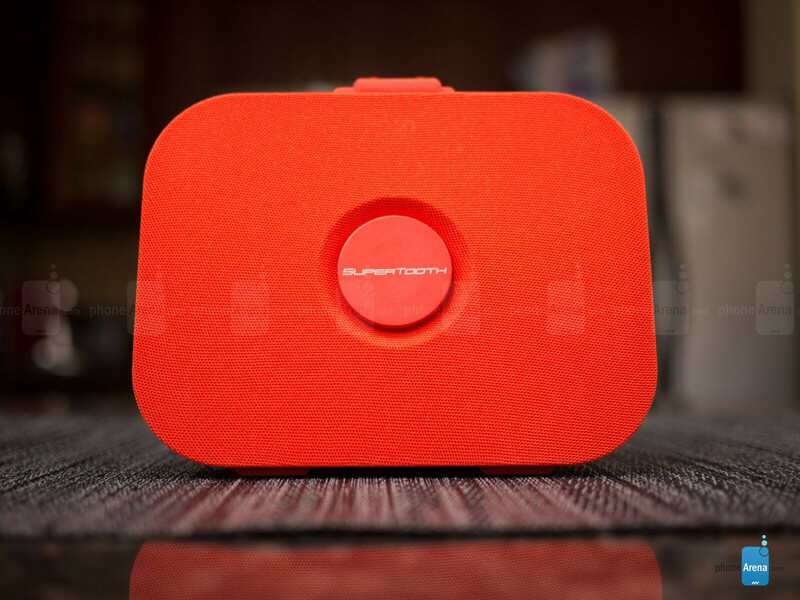 All told, SuperTooth does a great job in effectively shrinking the speaker’s size and weight with this updated design. Fashionable and stylish are two things that spring to mind when looking at the D4, adding some much needed pizzazz and spark to our home entertainment counter.